We are now accepting reservations for 2019. Reserve now! Join us for 2019 ShelterBox Ride! Time to get back on the bikes! Join us for 2019 ShelterBox Ride. Calling all serious cyclist to families seeking adventure. 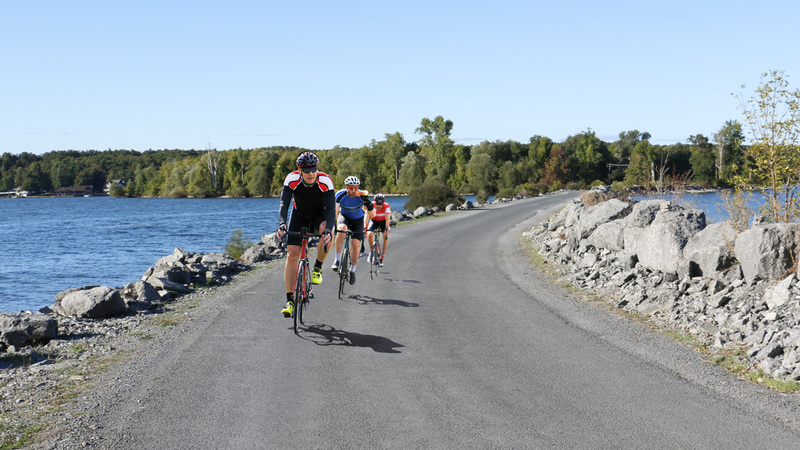 In case you don’t already know, The ShelterBox Ride is traditionally the first ride of the year for many cyclists in northern central NY. There are three separate rides of 53, 25, and 13 miles. The first time the routes include the scenic Association Island! The post-ride festivities will include a Spaghetti Lunch at Bill Saiff’s Westview Lodge and Marina from 11:30 am – 1:00 with music. Over $1000 worth of prizes will be raffled off to participants (must be present). About the ShelterBox Charity Tom Deuson, the ride organizer, said that Shelters had deployed to major U.S. disasters such as Hurricane Katrina, Sandy, and Harvey, as well as Flood victims in Arkansas and tornado victims in Oklahoma. Haiti earthquake- 38,000 families Syria – 45,000 southern-eastern africa march 16- maloyee. DISCOVER THE BEAUTY AND HISTORY OF ASSOCIATION ISLAND! 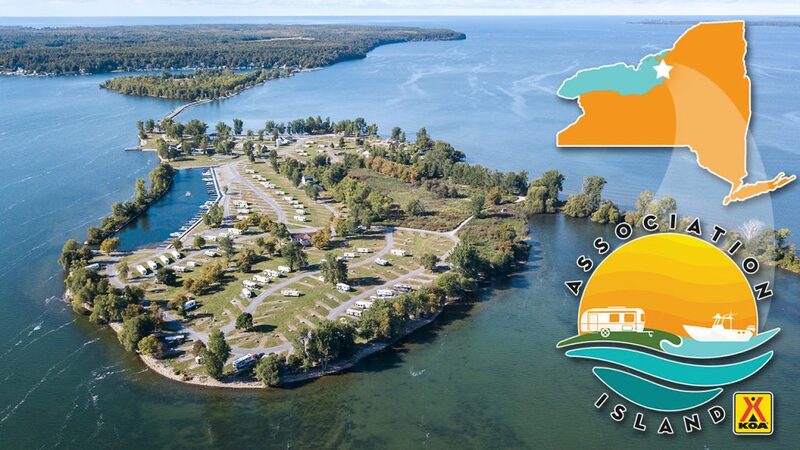 Located on Lake Ontario and the scenic 1000 Islands region, Association Island (accessible by bridge) has an interesting history as a corporate retreat for GE, a YMCA center and an Olympic sailing center. The entire 65-acre island is a campground, with over 300 full hook up RV sites (50-amp electric). Enjoy the beautiful marina with its own boat launch, on-site fishing, kayaks and pedal boats. Take advantage of the pool; tennis, basketball and shuffleboard courts; Gagaball pit; and a clubhouse with a toddler playroom, laundry and bathhouse facilities. The activities center and conference center are ideal for special events, including weddings. The sunset lakefront RV sites are our most popular. Families love the two-bedroom lakefront cottages. This is a gated campground; call in advance for a late arrival. Pool: Memorial Weekend - Labor Day Weekend. Max pull thru: 90 feet. Your hosts: the Shim family. For US postal service mail, send to: PO Box 525, Henderson Harbor, NY 13651 Customer mail must be sent via Fedex or UPS to physical address: 15530 Snowshoe Rd, Henderson, NY 13650, and please add "Attn: (your name, reservation number)". From water front to inner sites. Back in to pull throughs. We can accommodate Full hook ups (50/30 amps) to truly roughing it. Water Front Cabins to Deluxe Inner Cabins with a view. Always pet friendly. Inner sites with water and/or electric available. You decide how much roughing it you can handle. Have your boat ready to use or drive in your sleeper cruiser. Full hook ups (50/30 amps) are available at certain slips. Take a dip and cool off in our large pool. Fish recreationally from designated locations on our property. NYS fishing license required for ages 16 and up, enforced by local DEC.
Our conference center is located on the beautiful shores of Lake Ontario on Historic Association Island. A 65 Acre Island located in Henderson NY. Perfect venue for weddings, and Family reunions. Call our general manager 800-393-4189. Some of the worlds best fresh water fishing is available on Lake Ontario. Views you can only see in Upstate New York. Why not stay in them? View the latest events and things to do on the island.